All this time this weekend debating when the “Highlanders” nickname was phased out, and the “Yankees” nickname phased in, and I missed a jewel sparkling up from one of my primary pieces of evidence. 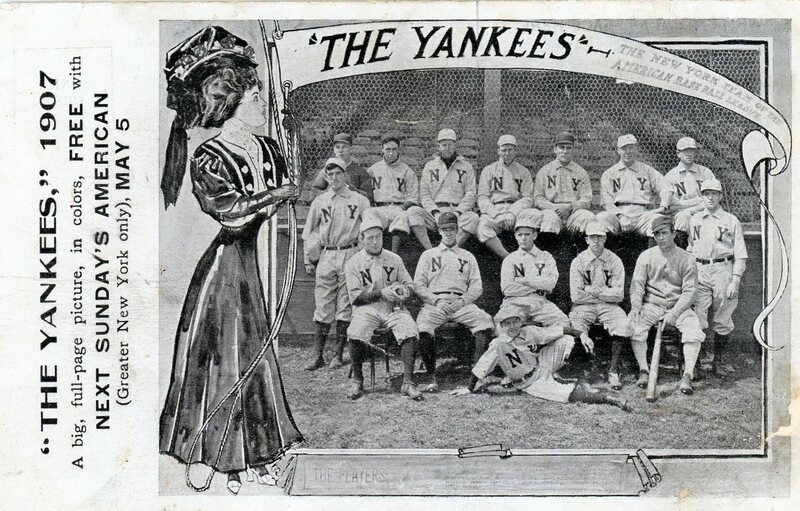 Take a good look at the stern faces in this photo, particularly in the back row, sitting on the fence at old Hilltop Park: The Yankees – and if the editors of the New York American of 1907 decided to try to sell newspapers by giving away these postcards, and a special supplement of this photo, by calling them the Yankees, so will I – had traded veteran Joe Yeager to St. Louis a month before spring training for a promising but ultimately disastrous utilityman. He was listed as a catcher, but on June 28th with him behind the plate, the Washington Senators stole 13 bases against the Yankees. Thirteen. “My arm was numb and I was helpless to do anything. Take a closer look at him, in the black cap. Do the eyebrows look familiar? That’s Branch Rickey. The Branch Rickey. 40 years later he’d be ushering Jackie Robinson in the majors. And parenthetically, front row, on the left in this detail? 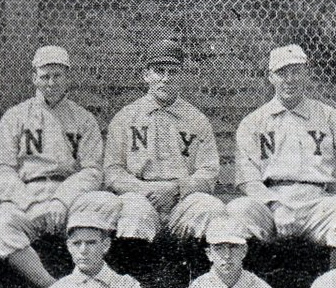 Another Hall of Famer, 1907 Yankees manager, future Washington Senators owner, Clark Griffith.